A language scholar and part of the team who created the award winning Historical Thesaurus of the Oxford English Dictionary. The Historical Thesaurus is the first ever produced for any language in the world, containing almost every word in English from Old English to the present day. Christian Kay was an Honorary Professorial Research Fellow in the Department of English Language. She was previously Professor of English Language. 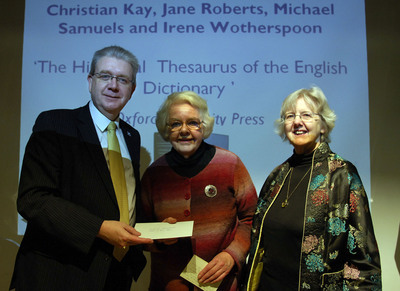 She had been involved with developing the Historical Thesaurus of English, since 1969. The Historical Thesaurus of English project presents the vocabulary of English from Old English to the present day. Words are arranged according to their meanings and dates of use allowing users to explore connections between words. It is based on the second edition of the Oxford English Dictionary and was completed and published in two volumes in 2009. Kay was educated at the University of Edinburgh and Mount Holyoke College, Massachusetts. In 1969 she joined the Historical Thesaurus of English as a research assistant, becoming director of the project in 1989. She founded the Scottish Corpus of Texts and Speech (SCOTS) and is a member of the team producing its successor, the Corpus of Modern Scottish Writing. 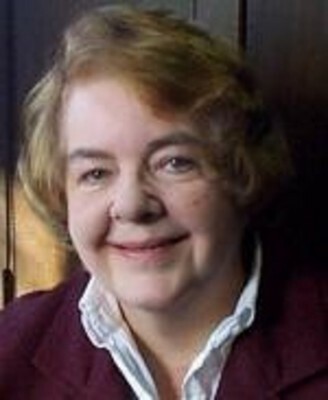 Her research interests included contemporary and historical semantics and syntax; the history of the English language; lexicology and lexicography; and the use of databases and corpora in linguistic research.